Jody has over 40 years of riding and riding instruction experience and is the perfect instructor for all riding abilities. Designing riding programs to suit individual needs is our specialty. Starting with matching the right horse to the right student, then building relationship, which in turn builds trust. We have several different lesson choices listed below with more info under each link. – EEL Riding Lessons: Great for self-empowerment and building self-esteem. – English or Western Riding Lessons: Most popular with the kids, but adults love these too. 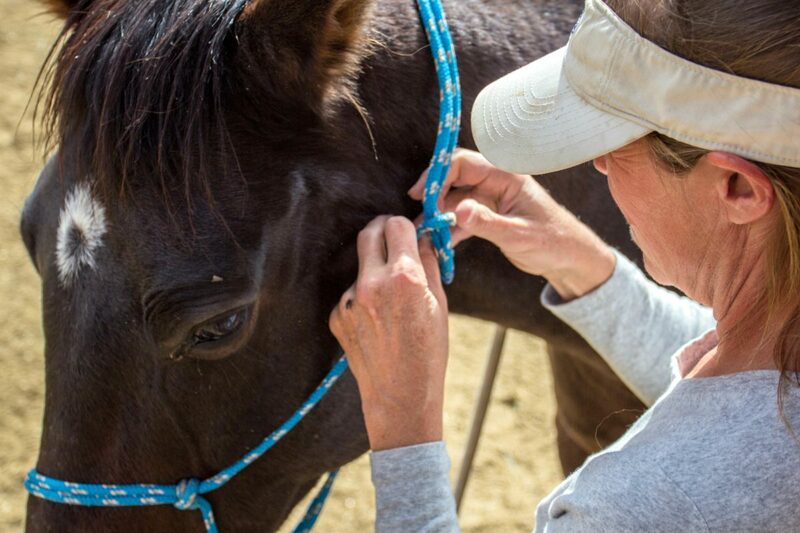 This is your hands-on, learning to groom, saddle, ride and over all general care of a horse. – Natural Horsemanship Lessons: These lessons focus on the teachings of Pat Parelli, founder of Parelli Natural Horsemanship. There are over 15 lesson horses here at Metaphorse Riding Instruction. All shapes and sizes, all colors and breeds. We pride ourselves in our diverse herd and their individual qualities. Our lessons are given here at Metaphorse however, we are willing to travel to you for instruction for you and your horse. The fee is $65 plus mileage. We would be willing to have a discussion about bringing your horse and yourself to us for lessons but strict vaccine and quarantine rules must be adhered to. Your choice, English or Western. Students always ride in helmets.